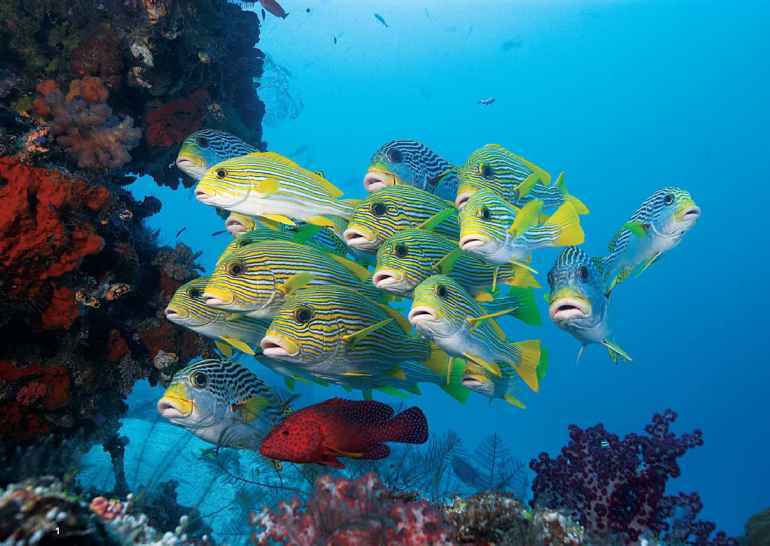 school of ribbon sweetlips keeps a coral grouper company in Rajah Ampat. 2. Diving the black coral garden at Dinding Selatan. 3. A A bird's-eye view of Wayag Lagoon. 4. Soft coral on Sardine's Reef. From the staggeringly beautiful and idyllic landscapes of Bali, where the view from your seaside bungalow includes volcanoes believed to be inhabited by gods, to the now-world-famous muck-diving in North Sulawesi's Lembeh Strait, where macro photographers discover new species as they try to make their air outlast their media cards, Indonesia is an enigma. The fourth most populous nation in the world (after China, India and the United States) it is nonetheless a beautiful place, in sync with nature and the seas that surround it. AVERAGE WATER TEMP: 73-84°F WHAT TO WEAR: 3mm shorty to 5mm fullsuit. AVERAGE VIZ: 30-100+ feet, depending on site. WHEN TO GO: February-November for best viz. WHAT TO EXPECT: More than 17,500 equatorial islands with nearly a quarter of the planet's coral reefs all concentrated in one region; if you can identify all the marine life you see, our hat's off to you. LANGUAGE: Bahasa indonesia. TAXES: 10% VAT plus luxury tax on some items. ELECTRICITY: 220V; but it may vary; bring a voltage stabilizer as well as a convertor. TIME ZONE: West is GMT+7, Central is GMT+8, East is GMT +9. diving on wrecks in the Thousand Islands region. 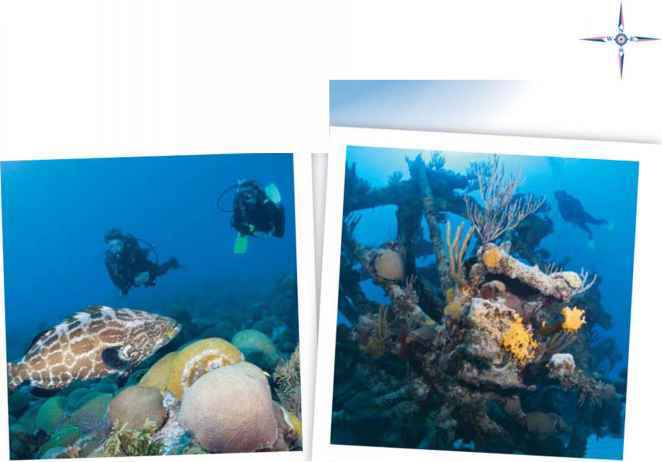 Looking for a shore-based dedicated dive resort? You can have your choice in Bali, in West Lombok and elsewhere. 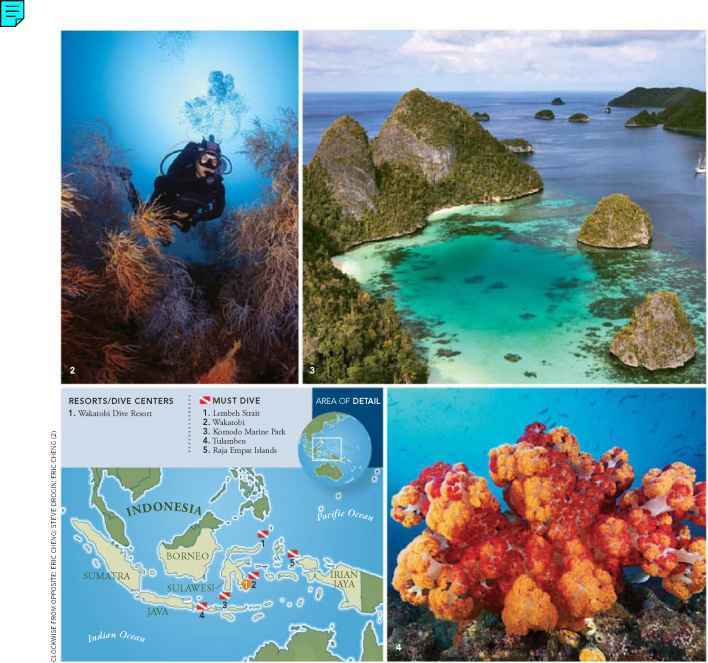 And if you are looking for a trip-of-a-lifetime odyssey to places that are just starting to emerge on the dive-world's radar screen, there is probably an Indonesian live-aboard experience that will seem custom-tailored to your needs. Apres-dive, the possibilities are as exotic as the underwater variety. You can take an elephant safari, watch villagers participate in religious rites that include bull racing, wander the grounds of a 1,200-year-old Buddhist temple or simply relax on the sort of beach that you thought existed only in dreams. It's the dive vacation gone wide-screen and in Technicolor.